GUESS THE BUDGET OF SUPERSTAR RAJINIKANTH’S 2.0? Superstar Rajinikanth’s much awaited 2.0 directed by Shankar is in its final schedule of the shoot which is to happen in Chennai. 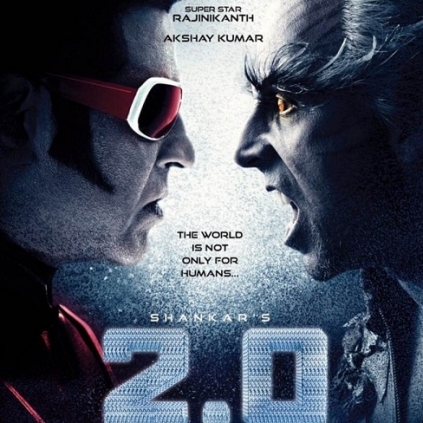 The sequel to the hit first part Endhiran has some big names on its card that includes Akshay Kumar, Amy Jackson, A.R Rahman and Nirav Shah. Supposedly, the movie funded by Lyca Productions has been made of a whopping budget as high as 450 crores. 450 crores is a number which is one of the highest ever in Indian cinema. The grand release has been planned in 3D for Diwali 2017. Superstar has also given the nod for another film after 2.0 to be directed by Kabali’s Ranjith. Will Vijay 61 Be AR Rahman's 2nd Full-fledged Cop Film? People looking for online information on AR Rahman, Rajinikanth will find this news story useful.